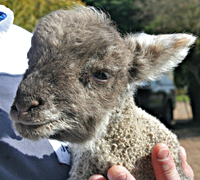 Laineys Farm provides day care for adults with learning difficulties, in a rural farm setting near Staplehurst in Kent. We provide a supervised, structured programme of farming-related activities, including animal husbandry (livestock, small animals, poultry), as well as cooking and crafts. We offer a unique concept in day care and education for adults with learning difficulties. Each individual is nurtured, valued and encouraged to achieve a quality of life that awakens a new spirit of enterprise and hope. Sessions are pre-booked, and students will attend the farm regularly as part of a care, therapeutic or educational programme. Find out more about us and what we can offer, and contact us for more information.